I’ve recently returned from an amazing tour of Japan, my first time visiting. I was lucky enough to see several different cities including Tokyo, Osaka, Kyoto, Hiroshima and Fukuoka. I saw so many amazing things along my journey, but perhaps one of my favorites was staying in the Kurokawa Onsen area. 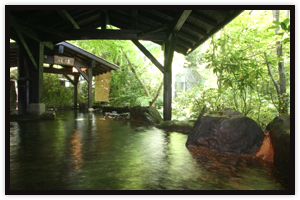 This area is one full of about 20 – 25 different ryokans (hotels) which feature onsens or hot springs in which you can sit, relax, and renew. It was awesome and being nestled in the Japanese mountain side was amazingly picturesque as well as inspiring. I am not, however, writing this post to brag about my experience there (ok maybe a little). Instead I wanted to highlight an important insight that I had while spending a couple of days doing nothing but soaking in a hot spring. That insight? Creating and designing amazing experiences does not have to be, and most of the time should not be, as complex as we sometimes think. So I pose this question to you: are we making things too complicated? Are we using the best and most appropriate information possible to create our solutions? Lastly, are we predicting user behavior as best we can and nudging our users to provide us the necessary data for us to exceed their expectations and make the journey pleasurable and down right awesome? What is causing me to pose these questions? The amazing experience that our ryokan provided and how simply and easily they were able to carry it out. For example, as I mentioned, there are about 20 different ryokans in the area. We traveled to the mountainous area by bus, and thus were somewhat confused as to where to go when we entered the rustic town. We were able to find our way down to the general area of our hotel, and just when we were about to panic about where to go, a man appeared to greet us, by name, take our bags and walk us to our ryokan. He showed us in, we were brought tea and treated like we were coming home after a long road of travel. We were in love with this place! How easy and amazing was this?! And, of course my mind starting thinking ‘How was this possible?’, ‘How did they make this experience so great?’. Well, quite simply, all they needed to know was the guests’ arrival time and mode of transportation. They asked us to call with our arrival time beforehand and knew there was only one bus from our town, so were easily able to be at the right place at the right time to greet us. They took our most basic need into consideration, the need to check in and arrive without stress, and were able to exploit this need and make our arrival an amazing one. Another great example of creating a great experience using simple methods, would be breakfast at the hotel. Breakfast is included and you confirm the night before if you will be attending. When we went down to breakfast, we sat at a table that was denoted by our room name, set up for two people, ready to serve us our traditional Japanese breakfast. And, knowing that we were at breakfast, the staff was able to clean up our room (put our futons away and bring back out the day time furniture) without worrying if they were bothering us. Again they were able to easily predict user behavior and use that to create a seamless experience. The lesson here? 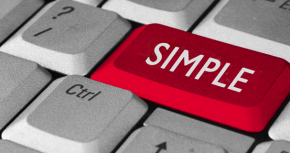 User experience design does not have to be complicated. Of course, sometimes it is and there are systems that we just can’t simplify enough. But, more often than not, we don’t have to think so hard and create complex algorithms to make our experiences extraordinary. Instead all we need to do is have the upmost empathy for our users, understand their basic need and make the experiences around those basic needs awesome. UXers it’s just that simple… now go make it happen! i came across tour blog / article whilst looking for Japanese freelance UX consultants. And i wondered on your travels if you came across any? – i run http://www.whatusersdo.com and for our larger retail clients 02, Dixons, EasyJet etc we provide a basic analysis service that needs UX consultants. – here are my contact details. i love reading your blog!!!! its informative, funny, just great! !